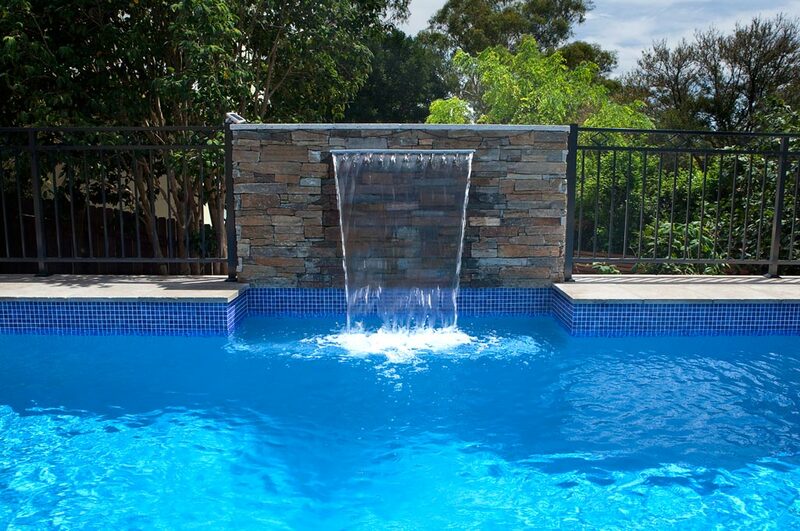 The combination of a fully-tiled spa looking across to the stacked stone feature wall and waterfall allows for a relaxing environment for the whole family. 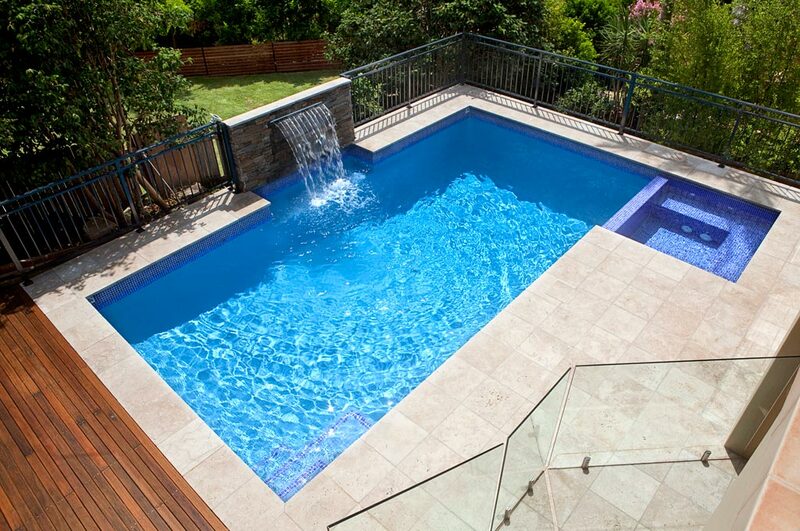 This site presented many challengers, as it was a steep block with a retaining wall that had to be removed. 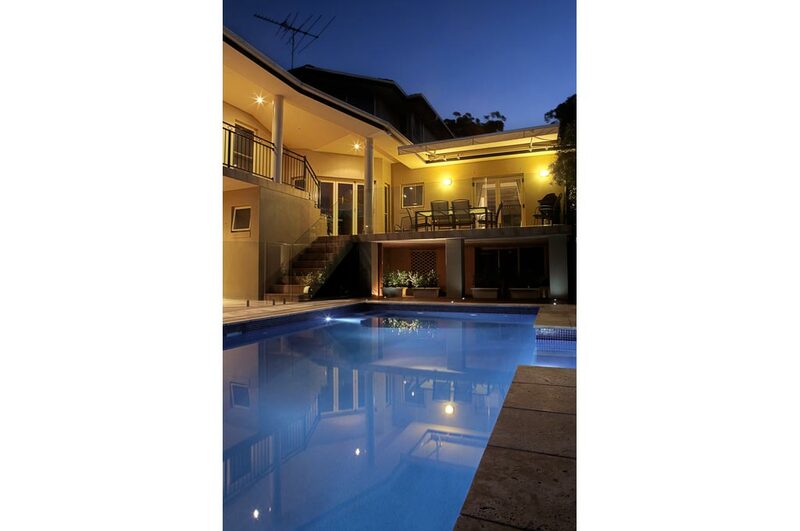 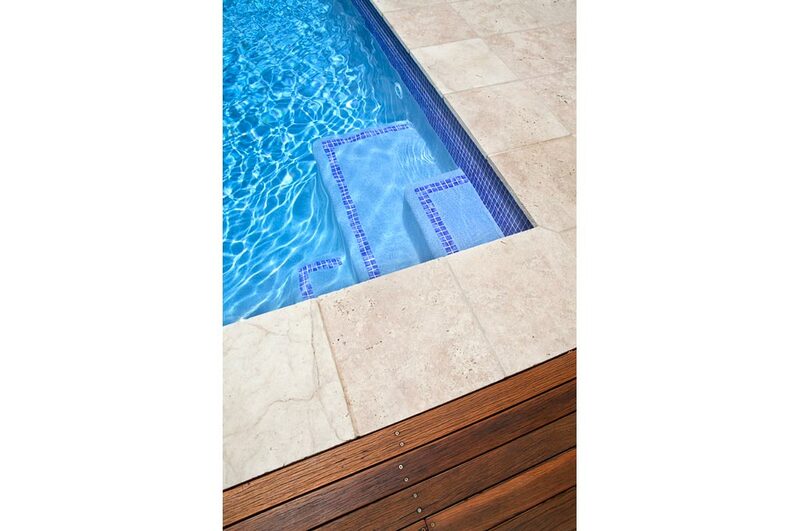 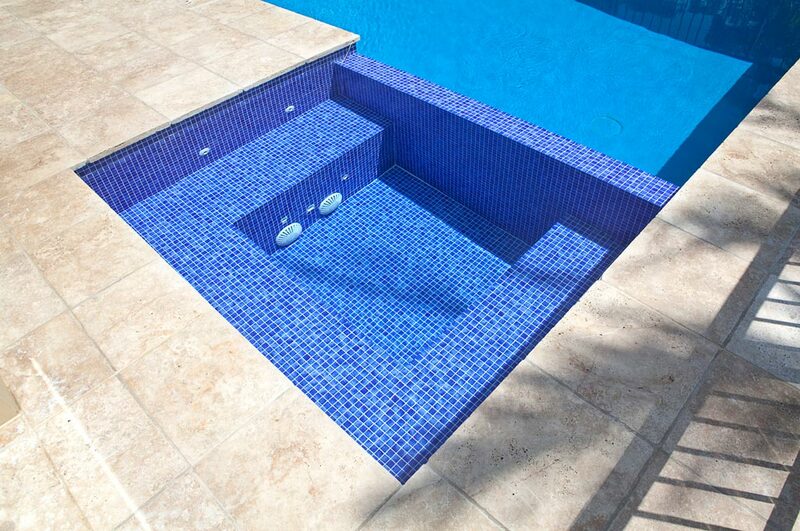 Tumbled Travertine coping combined with wooden decking increases the usable area surrounding the pool. 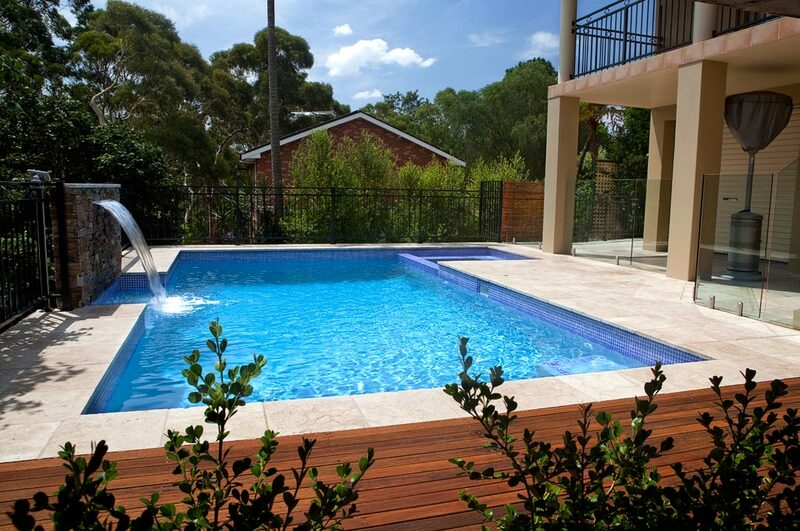 The frameless glass fencing has been toughened to increase safety in the surrounding area and provides an uninterrupted view down to the pool. 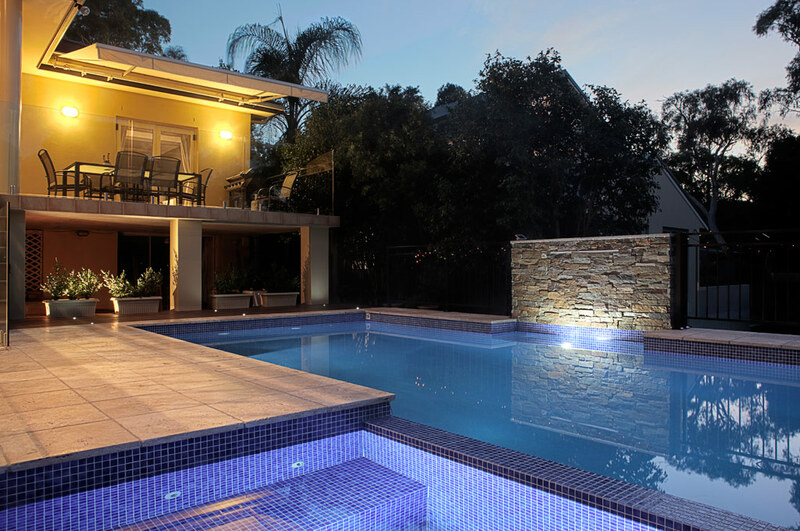 The final result provides a seamless integration with the existing residence to create an extension to the living area.